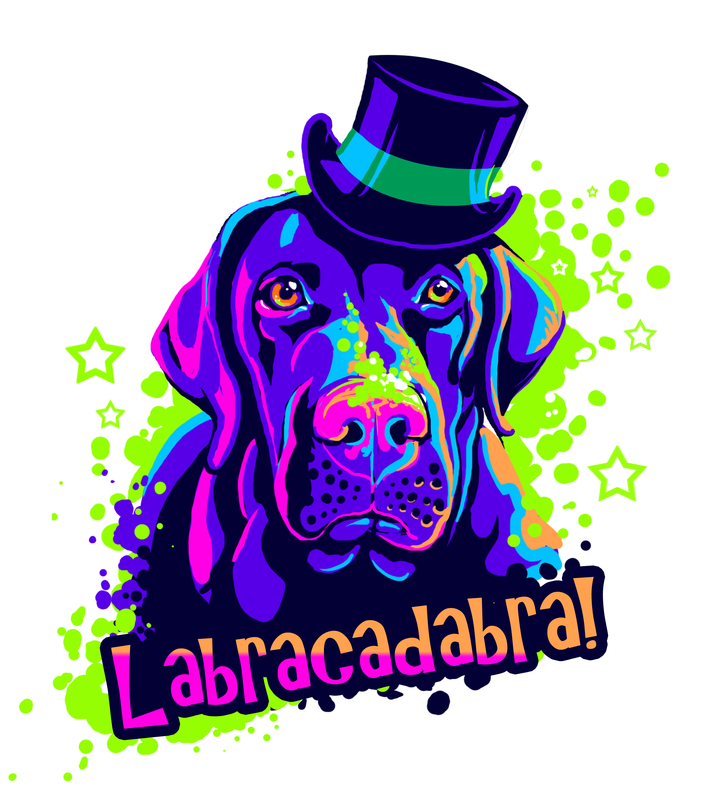 The bold colors in this cartoon of a Labrador magician are sure to make you smile. This colorful design was base don my cousin’s dog, Beau. A chocolate lab. I put the design on redbubble so you can get it on things like shirts and phone cases. This is a just for fun, highly informal project because I like the wordplay 🙂 I normally paint hgih-end pet portraits, but this is the kind of art I can do to relax.